Hello everyone! 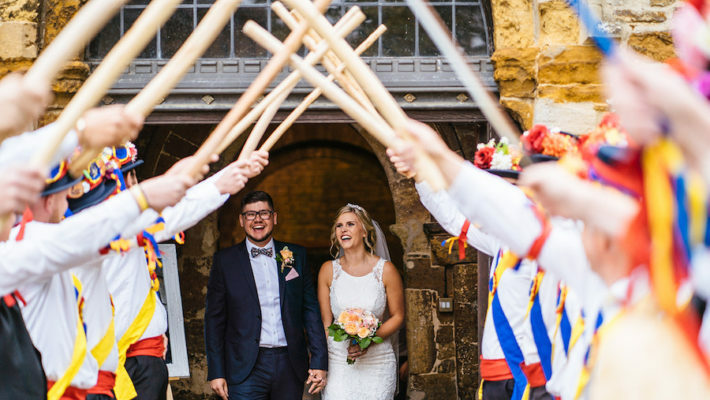 I’m so pleased you’re here to enjoy Janie and Paul’s London wedding blog with me today. They’re the most gorgeous couple and their wedding day has lots of personal touches which really made me smile. Watch out for the table plan with a bit of an animal theme – the wedding reception was held at London Zoo! Janie’s dress is a beautiful Stewart Parvin gown which she looks incredible in, and Paul wears a fantastic suit hired from Impeccable. Other ideas on the blog today include the cheese and chutneys… which are making my mouth water! I’d love to see this at a wedding, wouldn’t you?! The food looks delicious and it goes to show that every little detail counts when it comes to catering. A beautiful day with lots of thoughtful and great-looking touches. I adore Sassi Holford‘s graceful and contemporary wedding dresses. Sassi is an amazingly talented bridal designer whose gowns first made an appearance at Harrods in London before her popularity spread across the UK, to Europe and now to her New York boutique. It takes no more than a glimpse at a Sassi Holford wedding dress on the catwalk to see just why her designs are so popular. Sassi Holford launches her 2014 Signature Collection at White Gallery, London from SassiHolford on Vimeo. Sassi Holford’s 2014 Signature Collection is now available in bridal boutiques across the UK. See the designs being launched on the catwalk at London’s White Gallery here on the English Wedding Blog and check for stockists on the official Sassi Holford website. Hello everyone! I hope you’re having a lovely week. I’m about to make it lovelier… I hope! The lovely team from The State Of Grace have sent me an exclusive offer for English Wedding Blog readers. The offer is in three parts – you can get your happy little hands on all of these, if you’re quick! 10% off when you place an order with The State Of Grace. This is towards absolutely anything you like, dress, accessories, hats, shoes etc! Like and follow The State Of Grace on Twitter and Facebook. To claim, just get in touch with The State Of Grace and tell them you saw them on the English Wedding Blog! Hi everyone! 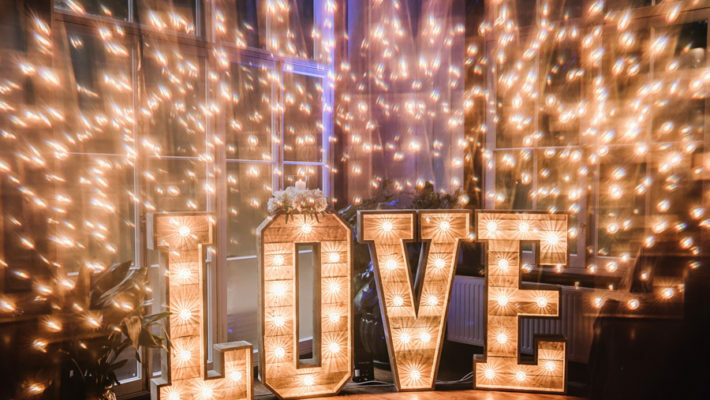 Just a quick blog feature to brighten your afternoon 🙂 I wanted to share this gorgeous wedding from Lightworks Photography in Cambridge. Charlene and Jonathan are such a lovely couple and their wedding has a lightness of style I adore. Madingley Hall is a magnificent country house, built in the 16th century and with all the features and atmosphere you could dream of. 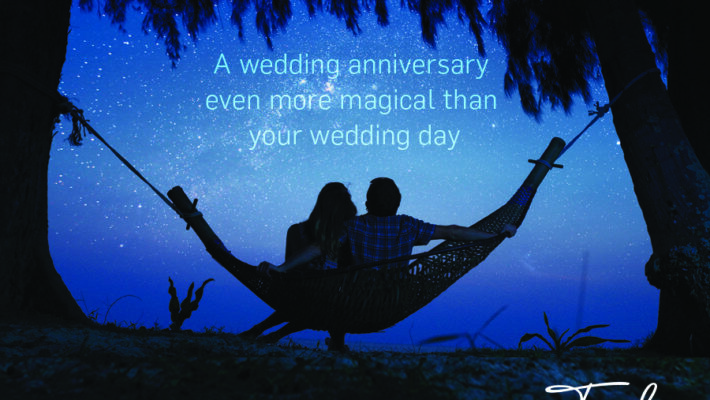 It’s becoming more popular as a wedding venue and it’s easy to see why! 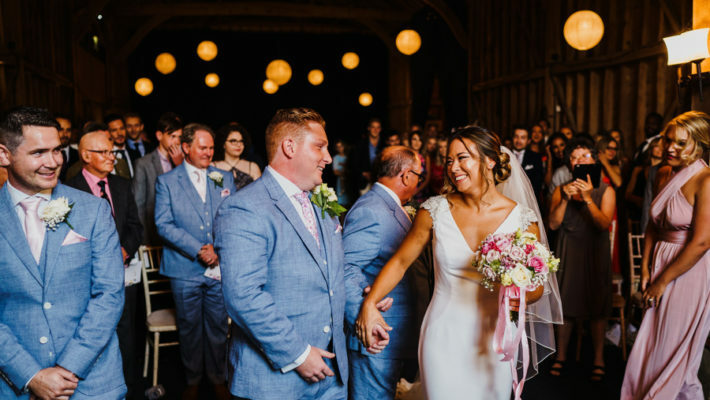 I’d love for you to see more so click on the link for the full blog of Charlene and Jonathan’s Madingley Hall wedding – with thanks to Andrew from Lightworks Photography for sharing! This one’s a tearjerker… the lovely words from Adam’s wedding speech at the beginning of this wedding film had me wibbling on the brink of tears before it even began… “In the words of Robert Browning, grow old with me – the best is yet to come…” There’s something in the way he says it. I adore the elegance and grandeur of Boreham House, Frosini’s lace gloves and and how beautiful she looks in her dress. I knew I had to ask Richard from White Dress Films if he’d share the wedding film with us and I’m so pleased he said yes! Frosini + Adam || Boreham House from White Dress Films on Vimeo. Hannah and Ben’s Georgian Country villa wedding at Hill Place, Hampshire – with surprise mystery guest! Morning everyone! How are you? It’s been an amazing weekend for me – we were looking down from the mountains onto Britain’s (official!) favourite view on Saturday, and I could see my house in the distance. Reminds me how lucky I am! I hope you had a brilliant weekend too. I thought we’d start this week with a gorgeous wedding at Hill Place in rural Hampshire. Hannah and Ben are simply the best couple – and their wedding photos tell the story of an incredible day. You’ll love this! Tamsin married at the famous Savoy Hotel in true old school Hollywood style. She looked like a silver screen goddess. 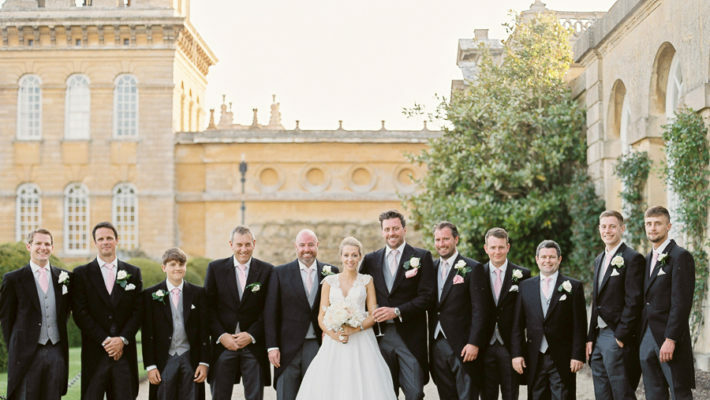 To suit the iconic venue, Tamsin and her husband sought something sophisticated but still sensual and playful in nature. Made with over ten metres of lavish Parisian silk with a suggestive cowl back and puddle train, Tamsin’s bespoke wedding dress took her husband’s breath away. Morning! How are you? I’m all bright and bubbly today – it’s going to be a great day! I’m happy too because – in the spirit of Piglet – I’m about to do a Very Grand Thing. I’m going to introduce you to the very wonderful Rosie and the Boys. Rosie makes papercuts for wedding day gifts and keepsakes. I think they’re incredibly beautiful. I seem to be on a roll finding new businesses to share with you, and I’ve been saving up Crystal Bridal Accessories for this afternoon. With an impressive array of top bridal designers and collections (Rainbow Club, Diane Hassall, Benjamin Adams, Harriet Wilde and more) there’s plenty to choose from and a nice range of prices for every bride and bridesmaid. 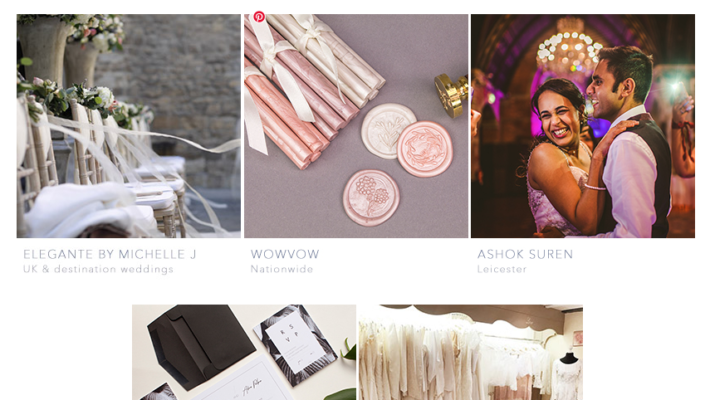 If you’re still looking for your accessories, shoes or bridal jewellery – check them out! Every now and then I stumble across something gorgeous which stops me in my tracks – and I have to share it with you. I was flitting around Pinterest and wedding blogs and gazing at wedding inspiration on facebook last week when I discovered these gorgeous images taken for Froufrou bridal boutique in Kent. Aren’t they beautiful? I had a quick chat with Froufrou’s Nicole and Helena who told me a little about their gorgeous, charming boutique in the royal spa town of Tunbridge Wells. Morning lovelies! Marcia and James’s wedding took my breath away when I first saw it. 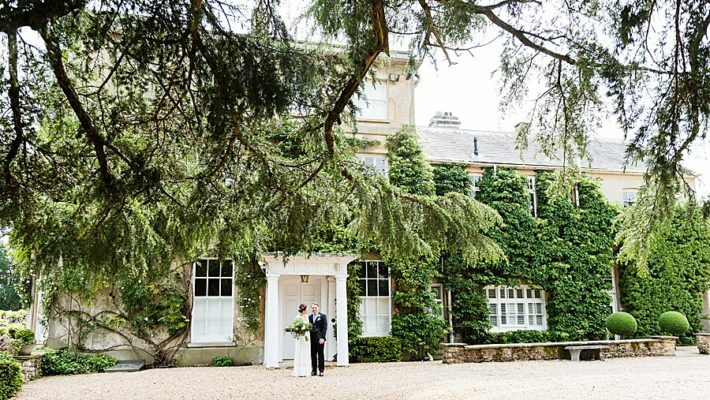 Beautiful styling, timeless grace and a venue with all the grandeur of the finest English stately home… a gorgeous Wiltshire wedding and a fabulous introduction to Trafalgar Park. The images from James and Marcia’s day are by Big Bouquet Photography, who are based in Dorset. Watch out for some stunning portraits of the bride and groom towards the end of today’s feature! I’d like to say a huge thank you to Emma and Ian from Big Bouquet, and of course my warmest congratulations to today’s stunning bride and groom, the lovely Marcia and James!